As part of our #BlubirdLoves campaign this month, we took to instagram in search of our next Weekend Girl. We received many amazing entries, but one ray of Sunshine shone especially bright. Previously a buyer for a large Canadian retail company, Sunny is now the owner of a beautiful online store and has recently partnered with Paul Melo on a new venture (p.s. cutest couple ever!). 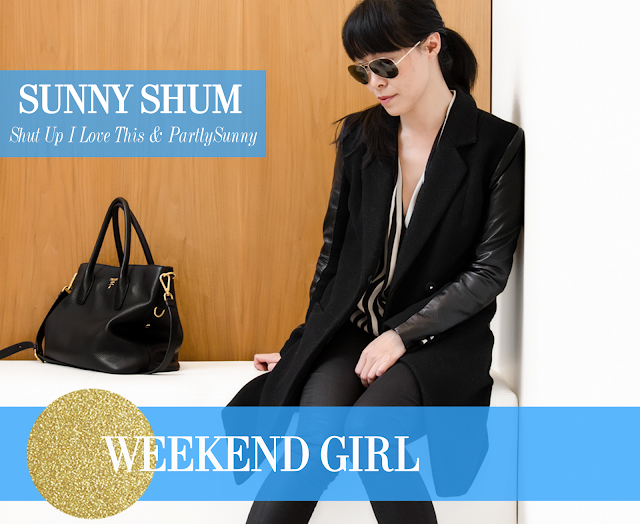 A mainstay in the Vancouver creative community, Sunny is stylish, savvy and kind, making her the perfect choice for our newest Weekend Girl feature. Read about why we love Sunny, then shop her beautifully curated online shop here. Sunny looking stunning as ever in her new Party Skirt!